How would it be to bring to sight the things that usually stay invisible? How would it be to reconnect to everything we once rid ourselves of? Presented within the unique ambience of the gallery at The Storey, Lancaster, Belgian artist Sarah Vanhee unveils a year’s worth of real and virtual trash, bringing it together in this unforgettable performance. A UK Premiere for Lancaster Arts' Festival of Questions. Imagine a place where you find yourself reconnected to everything you have discarded, deleted or thrown away. Objects, thoughts, relations you had already cut yourself loose from and forgotten about, now they are all there again. What do you do? Re-trace, re-value, re-invest? Everything in 'Oblivion' is worth something. When does your trash stop being your trash and hold value again? 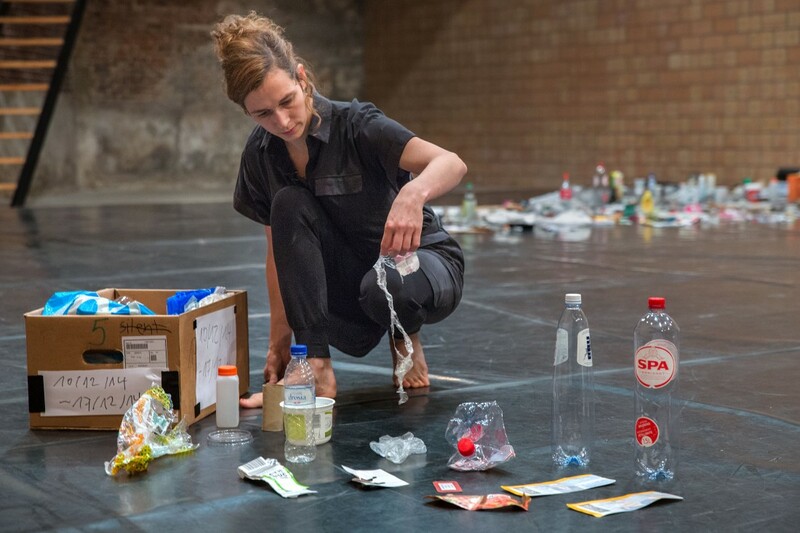 Oblivion is a performance involving everything Sarah Vanhee would have thrown away during one year working and living. It's an investigation into how we relate to the things we normally get rid of. A slow celebration of things unhidden, be that excreting bodies, spam-texts or failed internet searches; reflectiing on Western obsession with hygiene and purity. Get ready to face Oblivion. A UK Premiere. Co-produced by CAMPO (Ghent); HAU (Berlin); Göteborgs Dans & Teater Festival (Göteborg), Noorderzon (Groningen) & Kunstenfestivaldesarts (Brussels) as part NXTSTP with support of Culture Programme of the European Union.